When an older adult starts needing help with everyday activities, we automatically want to provide as much assistance as we can. We do this because we want them to be safe, we feel that it’s our duty, or we don’t want them to worry about getting through day-to-day life. Sometimes in our eagerness to keep our older adult safe, we end up helping too much. 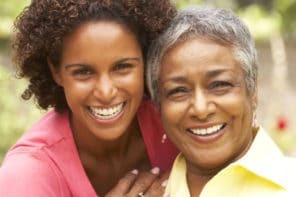 But because our older adult is declining in ability or they switch between good days and bad, it’s essential to find a balance between helping too much or too little. 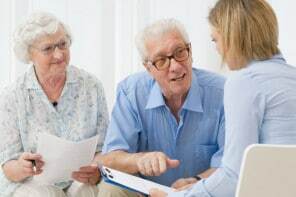 In his article, Dr. Jacobs recommends 4 ways to help while also encouraging senior independence. Here, we highlight his key points. Before your older adult needs help, have conversations about how their abilities may change. Find out how they’d like to be supported when they need help physically and/or cognitively. Being realistic about the future and preparing for inevitable changes will help both of you. We might see our older adult needing help once or twice and assume they always do – but it could have been a fluke. Before jumping in to take over, step back and observe their “true” behavior and confirm your concerns with others. Continuing to do as many activities and tasks as independently as possible helps seniors retain abilities and boosts self-esteem. Guide them toward tasks they’re able to do or adapt activities to make them easier. If setting the table from scratch is overwhelming, pull out the needed silverware and then ask your older adult to help set the table. If cooking a meal has too many steps, ask them to help you with prep or keep you company and taste-test. Remind your older adult that the purpose of assistance is to enable them to do what they want as safely and independently as possible. Dr. Jacobs uses the analogy of a cane. Using a cane allows someone to walk farther on their own. When you provide help, they’ll be able to do a lot more than they would without any help at all. I’ve been struggling with this issue and it looks like I’m handling it correctly. Is there anywhere I can ask other questions about caring for someone you’re close to but not a relative?